VANCOUVER, BC – UBC’s Chan Centre was absolutely packed last night with over 1,300 people – and there were 1,000 more on the waiting list – to hear one of the most popular architects of the 21st century, Bjarke Ingles. The 37 year old Danish architect employs 130 people in offices located in Copenhagen and New York. 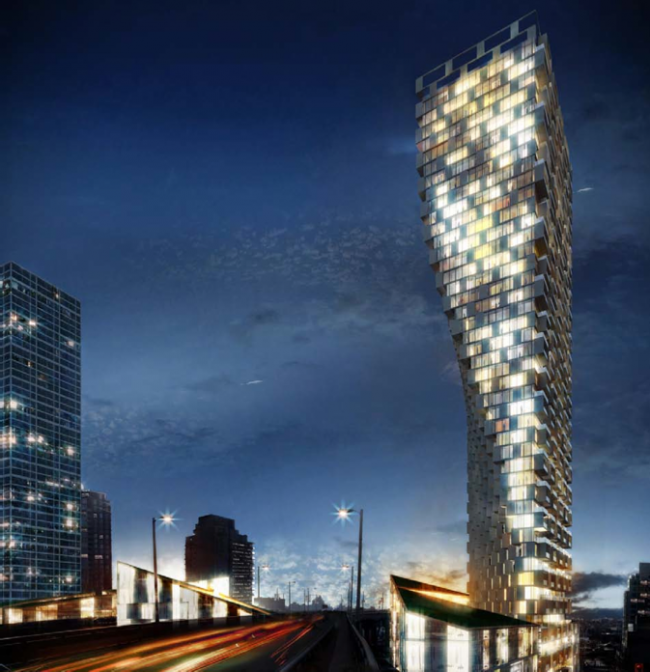 Vancouver’s Westbank Development Corporation, headed by visionary Ian Gillespie, hosted the meeting to discuss sustainability and the future of Vancouver’s skyline. Bjarke Ingels talked about Westbank’s new project in Vancouver at 1400 Howe Street, and some of his previous architectural contributions around the world. Inventory 50% Clearance Sale On Now! "It's been my lifelong dream to play a Fazioli"
SPRING into Action SALES EVENT on now! Showcase Academy holds first Baby class! VIDEO: Vancouver Architect Ernest Collins designs case of largest piano to ever come to BC! Business of the Year Award! Did pop superstar Wanting Qu 曲婉婷 blow up a $280,000 Fazioli in her new MV? Linda Lee Thomas releases new CD: "Tango Con Fazioli"
Rolls-Royce's "A Night With The Siprit of Ecstasy"
A Concert with 40 Fingers on 4 Pianos! Lloyd & Bruce's Furniture Opens Exclusive "FENDI Casa"
Back to School Sale ON NOW! Grand Opening of All New Aberdeen Centre Location! Enroll for piano lessons before August 31!! It's finally here: The new Fazioli F228 was brought in because of popular demand! 30th Fazioli Piano Sells in Vancouver! KIWI Collection's 'WOW Travel' Magazine: "The Phenomenal Fazioli"
The Best of the Best! But which one is faster? Aston Martin drivers take Fazioli for a spin! FAZIOLI in Pyramid Mahogany in beautiful Coal Harbour penthouse suite!